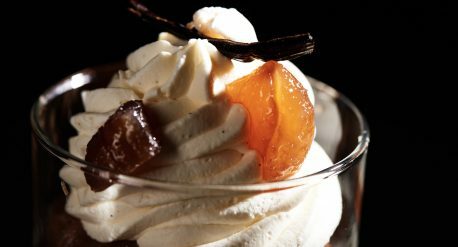 Roux at The Landau at five star luxury hotel The Langham, London has gone under renovation, and opens again in March 2018 with a new look designed by David Collins Studio. 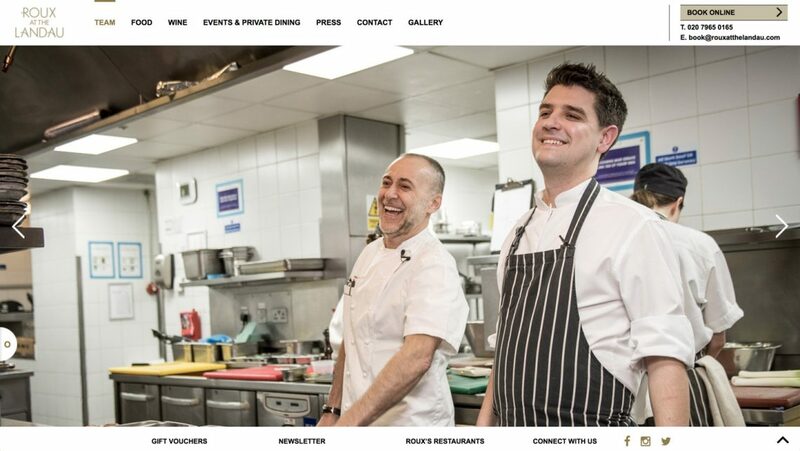 Guests can now experience a fantastic bar dining as well as table service, with exquisite cuisine from Michel Roux Jr brought to the restaurant by Head Chef, Nicolas Pasquier. The Langham, London was looking at redesigning the restaurant website as well as each of its Food & Beverage website. 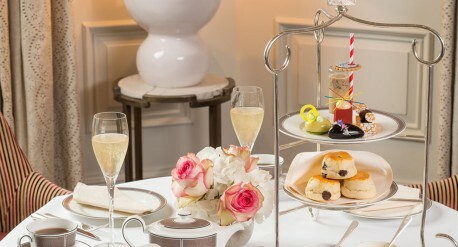 Positioning them as London’s luxury destinations for fine dining, cocktails, afternoon-tea and a luxury tavern recently brought on Regent street with The Wigmore. 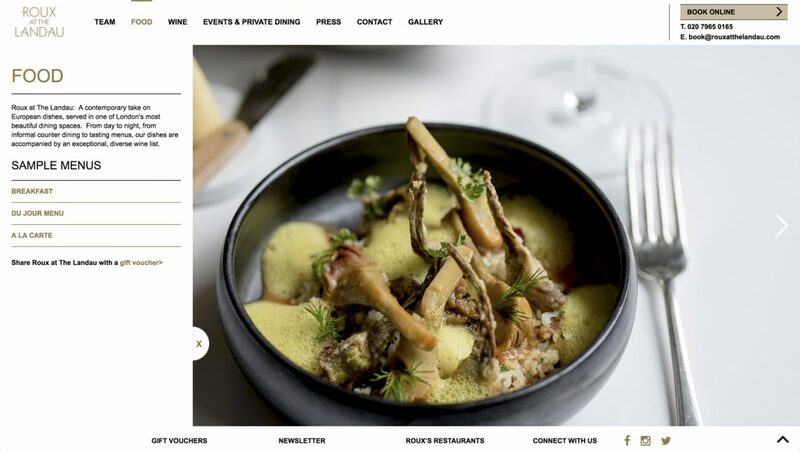 The Roux at the Landau restaurant website would elegantly translate the food, atmosphere and service guests can experience when dining at the restaurant. 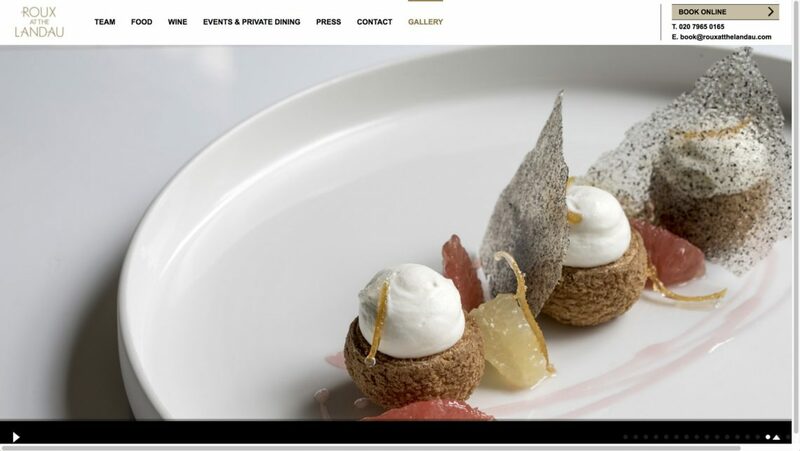 The new restaurant website launched in March 2018 with a clean white feel and a focus on full screen photography from an exquisite gallery of food photography by Wonderhatch. 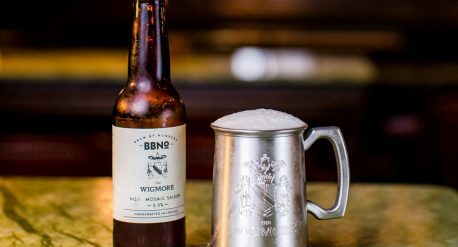 labelV designed & built the website to be part of The Langham Food & Beverage collection of destinations: Artesian bar, afternoon tea lounge Palm Court and luxury tavern The Wigmore. 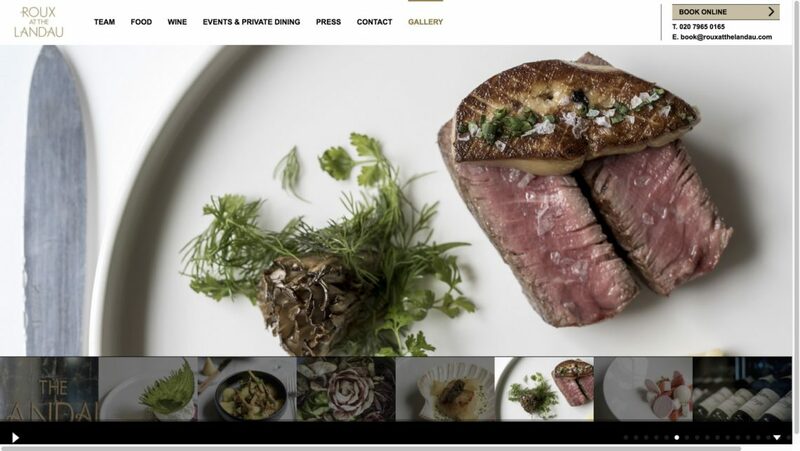 The Roux at The Landau responsive website is designed and built with a mobile-first approach, engaging tools and content such as a quick access to map, social media integration and Instagram feed would also be part of the website features, supporting the restaurant’s search engine ranking and SEO activities. 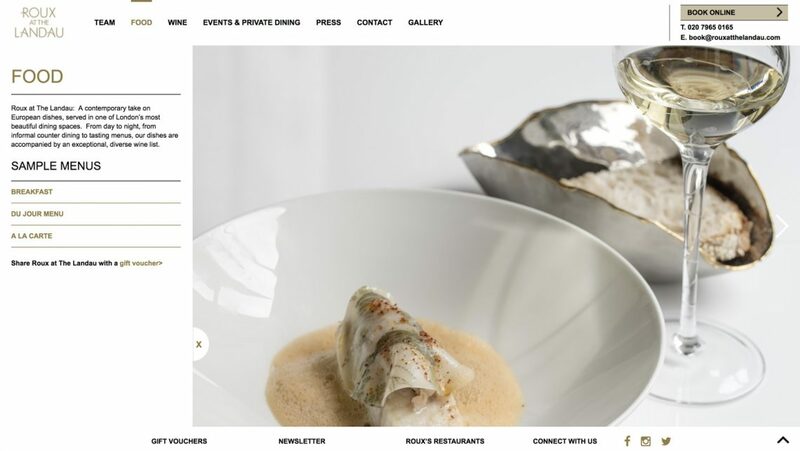 Part of The Langham, London Food & Beverage destination websites; including Roux at The Landau, Artesian Bar and Palm Court.